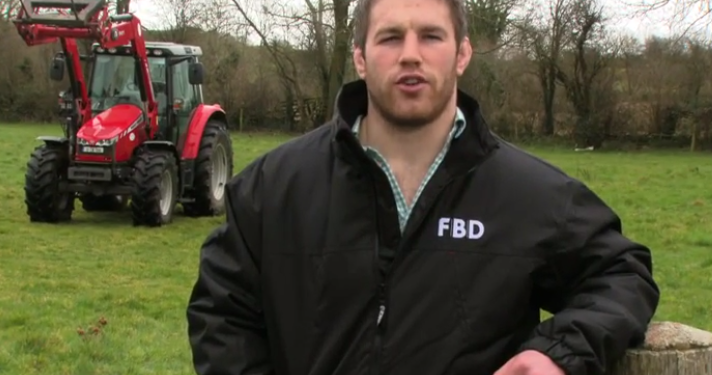 In a video released recently by Macra, Ireland and Leinster rugby playing legend, Seán O’Brien, ‘The Tullow Tank’ has been telling young farmers that preparation and growth are key components for a successful farm business. 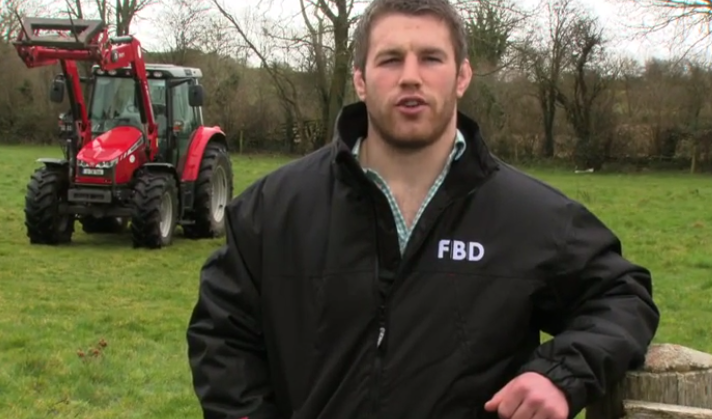 Promoting the upcoming FBD Young Farmer Springboard event on April 29, Seán stressed that setting targets and tackling goals were part of any young farmer’s, or rugby player’s, strategy for success. Watch the video here. Macra na Feirme and FBD, along with the IFA, are hosting the event which is taking place in the Heritage Hotel, Killenard, Co Laois and will focus on goal setting and revealing the steps necessary to be a highly successful farmer. We’ll help you put together your pre-season training plan. The FBD Young Farmer Springboard workshop will run from 10:00am to 3.30pm with a special introduction by Seán O’Brien, Ireland and Leinster rugby player and facilitated by Brian Purcell, of ‘The Apprentice’ fame. Young farmers who are involved in managing their farm (either with their parent(s) or in their own right) and who are determined to make a career out of farming are invited to attend this exciting and motivating workshop. As places are limited registration in advance is necessary. Email [email protected] or call 01 4268900 for more information. This event is free to members of Macra na Feirme, the IFA and FBD customers on proof of membership. The fee is €100 for non members.